Apparently a little girl died in front of the right window. Look in the bottom of the window. 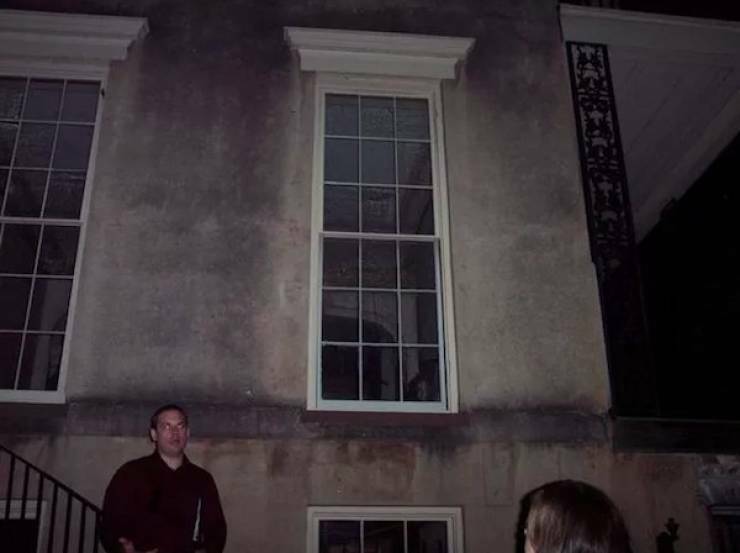 Also there other picture of this window by other sources where the face is captured but in different locations, so it isn’t a physical object inside the house.